Is your outdoor marketing saying the right thing? As a business, it’s always great to have your offices, premises etc. branded correctly, but when your work takes you outside, it’s worth remembering that here are a wealth of promotional marketing options to consider in order to make sure that people know who you are, what you are doing and even offering an opportunity to make contact and engage with you. 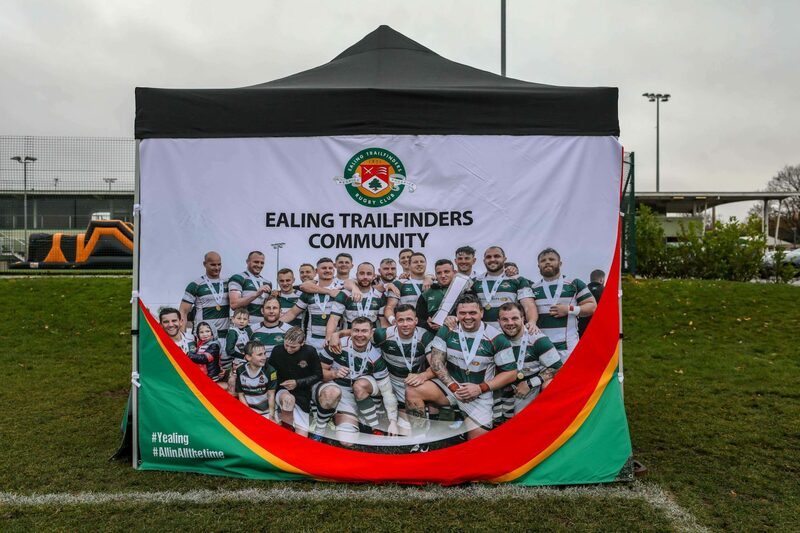 In the past few months we have been working with two organisations to design and print eye-catching corporately branded items including gazebos, flags, banners and building site barrier covers, which are exclusively for external use. Sports in Schools are passionate about the positive effects of sports and physical activity on the wellbeing of school-aged children. As sports professionals and experienced consultants, they work with community clubs and organisations to develop and deliver cost-effective programmes for schools and groups. Whether it’s breakfast, lunchtime or after school clubs, specialised coaching, or sports camps, their dedicated programmes, with easily identifiable outcome monitoring and measurement, is increases engagement, revenues and brand awareness. Before they launched new children’s rugby programmes in Ealing and Richmond, we were delighted to assist by designing and producing a range of high impact marketing materials to help them extend their reach by appealing to a wider audience whether that’s parents, children or other community groups. 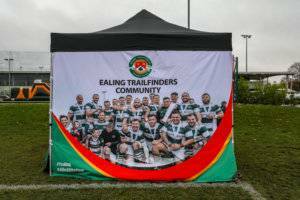 Made from durable fabrics and easy to erect and dismantle, branded flag prices start from £48, whilst a custom double sided printed gazebo frame and canopy can be yours from just £340. 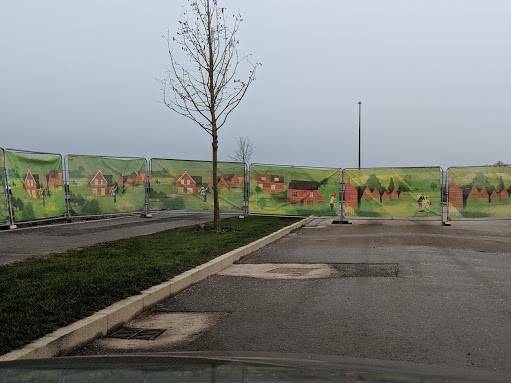 Before work commenced on the construction of the 6,200 home urban extension at Radio Station Rugby, Urban & Civic (U&C) contacted us to produce some barrier covers. The barrier covers were needed to ring the perimeter of the site. And whilst security was the main reason, they also needed to visually depict what was going on behind them in an interesting and intriguing way. Barrier covers are a great way to promote your brand, its messages or to simply inform people about what is going on. In this case the U&C project commenced with the construction of The Houlton Link Road, which is being built prior to the construction of 6,200 homes on the 1,200 acre Rugby site. 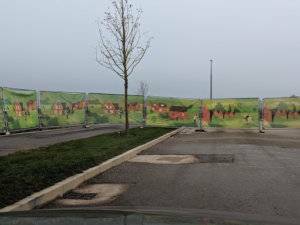 By working closely with the team at U&C, we were able to design and print a series of barrier covers which hide areas from view whilst at the same time being visually enticing but completely in keeping with the development. Our barrier covers are made to bespoke specifications and are easy to install and dismantle. Plus, thanks to the tough and long-lasting materials, they can be reused time and time again. Prices start from £114.00. For more details on our create eye-catching displays without the eye watering price tag, get in touch today.